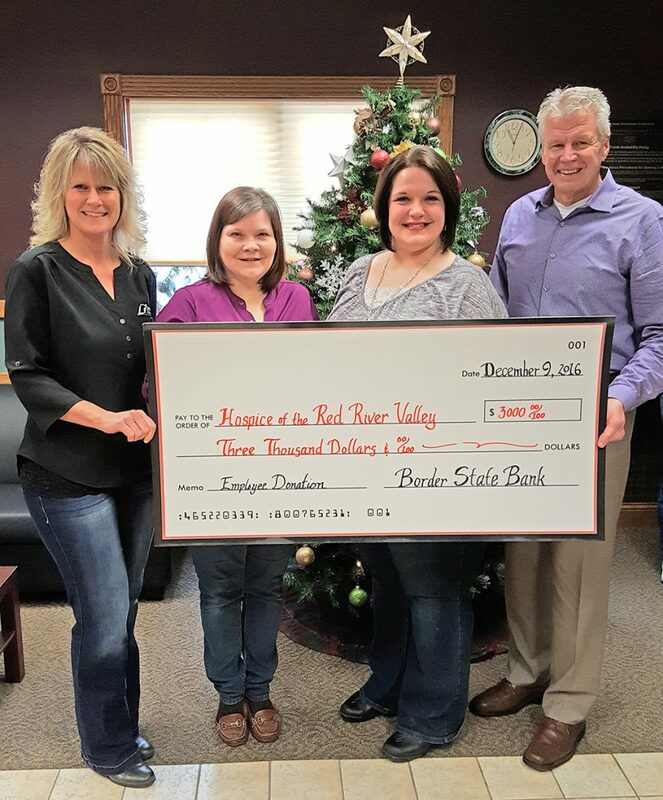 Employees of Border State Bank recently raised $3,000 for Hospice of the Red River Valley. The Thief River Falls branch of Border State Bank has 20 employees who raise money throughout the year through various activities. This is the sixth year Border State Bank has chosen Hospice of the Red River Valley as the recipient. The donation will be used to provide compassionate end-of-life care to those in Thief River Falls and surrounding communities.